What is the " Parenzana" ? Parenzana railway used to ride though the fabulous Istrian landscape,vineyards, ancient villages, olive groves for 33 years, its last ride is dated on 31.08 1935 and ceased to operate.In its short life it was a vital connection of various multicultural values of the territory where it used to run,and a joy for the local inhabitants, for whom Parenzana used to be very often their first train travel in their life. 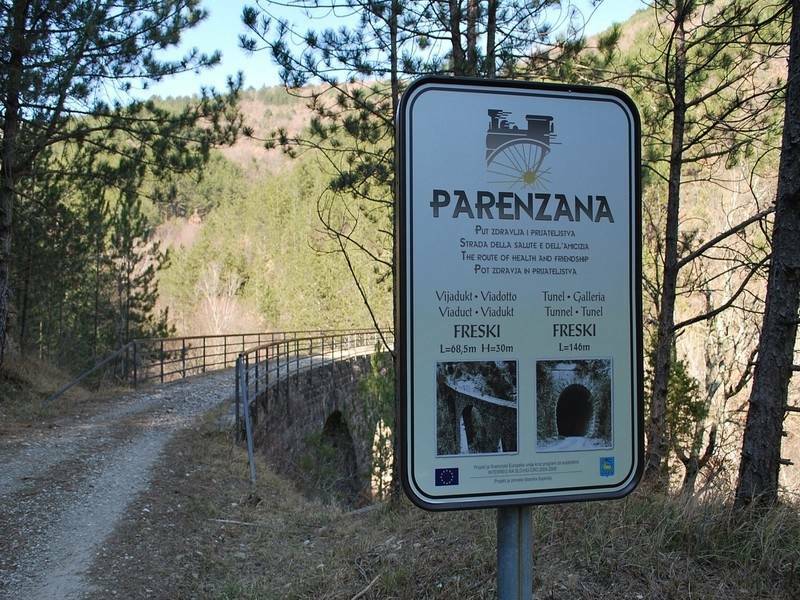 70 years later thanks to a project which saw involved the Region of Istria and Koper Municipality in Slovenia and the application of Eu funds, the old railway line of Parenzana could be revitalised on the basis of integrated tourist offer and long-term cross border cooperation. Nevertheless, the Parenzana route is together with its only survived heritage, i.e. 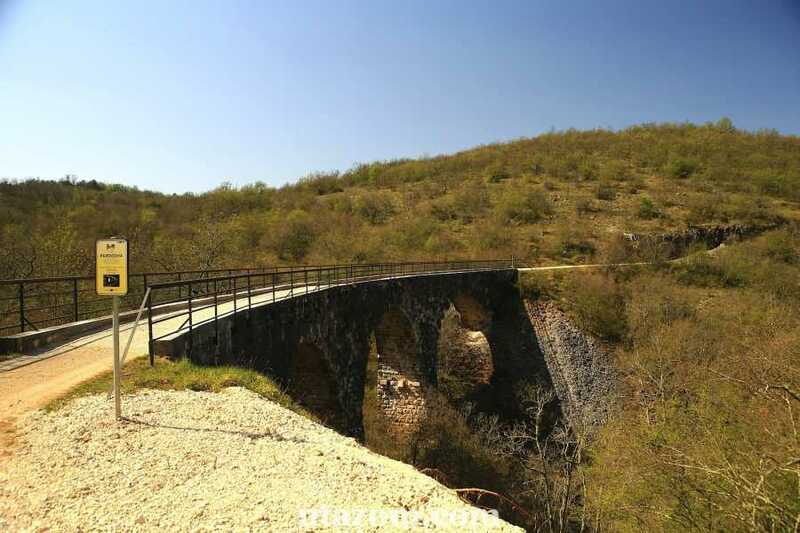 nine tunnels, six bridges, viaducts and stations, an inevitable spot on the map for everyone who wants to discover and get to know Istria and a paradise for hikers, mtbikers and everyone who would like to discover this beautiful region nestled in a perfect blend of history and nature. 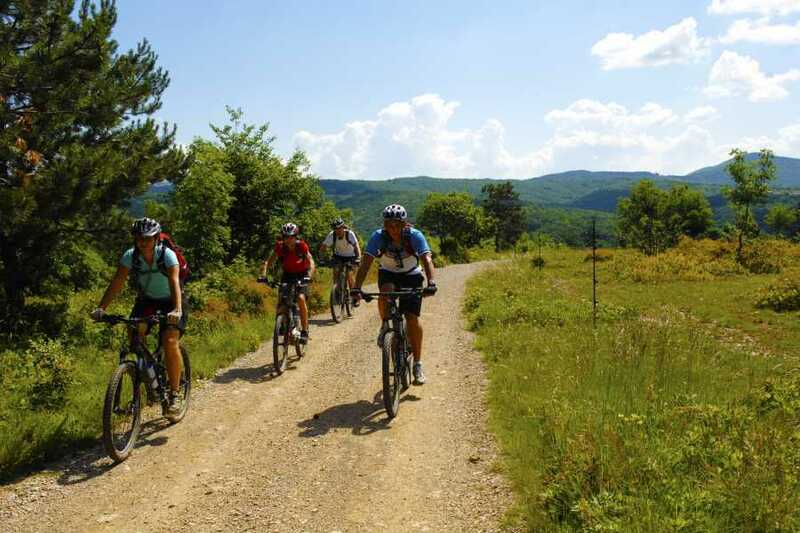 Parenzana is an ideal excursion for nature lovers, groups of friends, bikers, families, and those who appreciates relaxed holidays with a good slice of fitness among nature and a beautiful environment, but always combined with a tasty local food and a glass of wine. 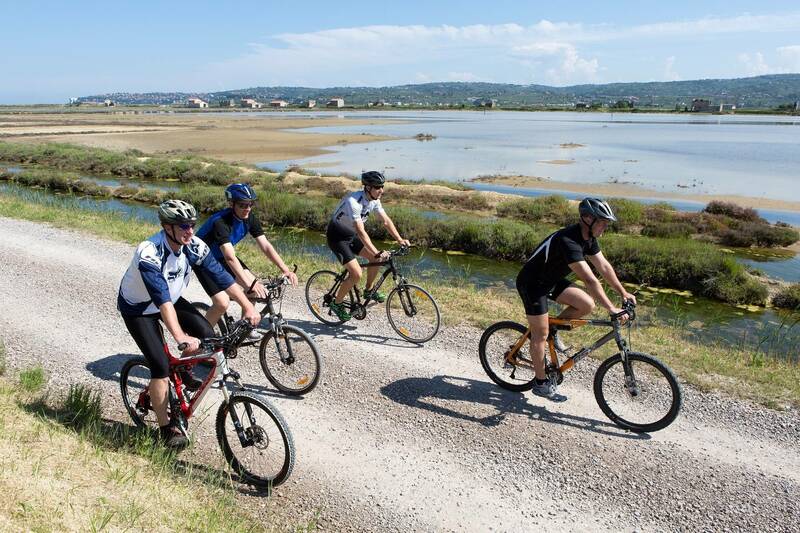 How to reach the starting point of Trieste ? Trieste is surrounded by 4 international airports ( Ljubljana, Trieste, Venice, Zagreb). If you inform us on time we can arrange airport shuttles from each airport. - In a single group there’ll be a maximum of 10 people..
- The program is also suitable for e-bikers. - Meeting instructions and final trip arrangements will be sent to you two weeks prior to your tour start date. he Istria to Adriatic cycling tour starts in the coastal town of Muggia near Trieste, the only Italian port town in Istria. The town’s architecture is marked by Venetian and Austrian history, while its harbour hosts a modern 500-berth marina. 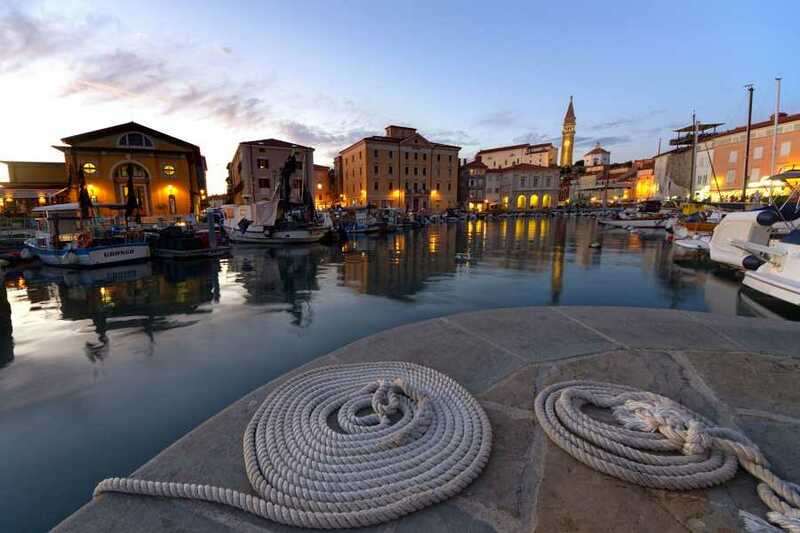 Muggia shows many traces of its Venetian tradition and origin, as demonstrated by the dialect, gastronomic tradition, Venetian Gothic style of architecture, and mostly by the main square, which is a true Venetian “campiello”. However, the destination of the day is the lively settlement of Portorož, the most famous Slovenian coastal resort. Say goodbye to the sea for a while, as we head towards inland. Soon after leaving Portorož we reach the Croatian border. 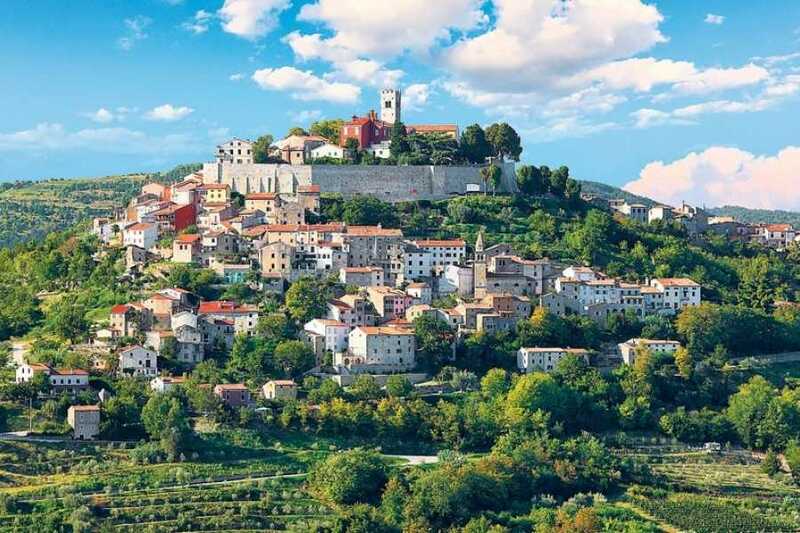 The landscape starts to change slightly and you start feeling what Istria is about, besides its coastline. The objective for the day is to comfortably reach Grožnjan. 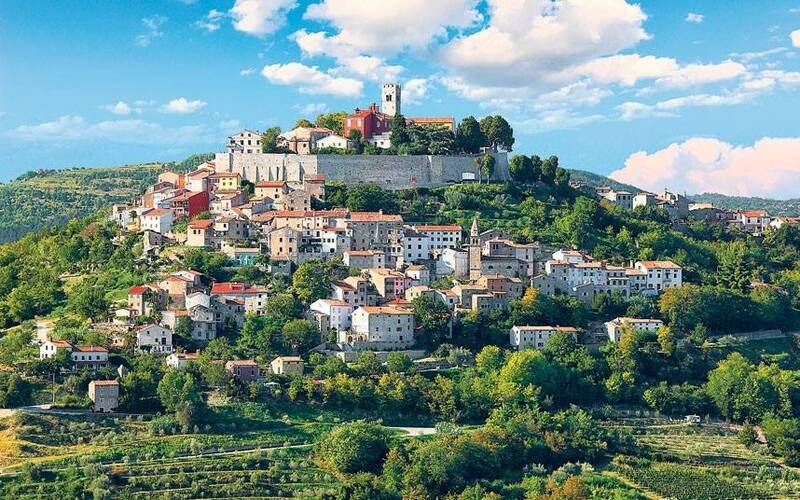 Grožnjan, known as the city of artists, is delightfully surrounded by green hills. 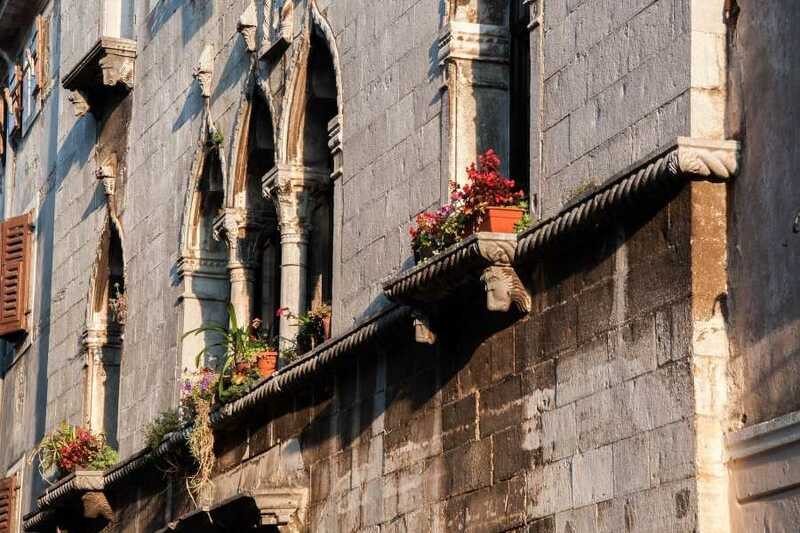 Due to its interesting history, which has been widely documented, it still naturally permeates the present with its rich ancient churches, ancient castles, magnificent palaces and many other old buildings, whose past glory had been recovered through restoration. Dinner Overnight in Groznjan. It’s back to the seaside. 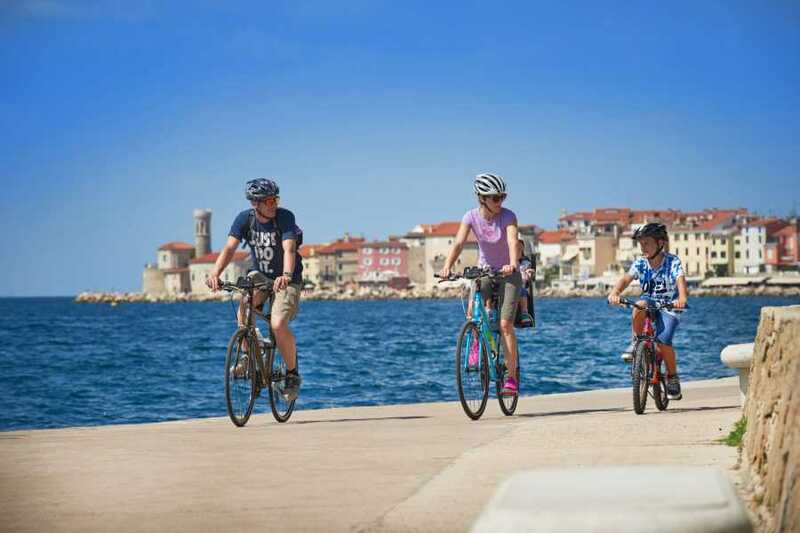 We have plenty of time to comfortably pedal towards Poreč, a city whose centre is located on a small peninsula submerged in the sea. Its foundations were put in place during the time of the ruling Roman Empire.The Eufrasian Basilica in the old town is listed as a Unesco Heritage Sites Today Poreč is a typical Istrian tourist town located on the Adriatic Sea. On day 5 we travel north along the coastline, back towards Slovenia. 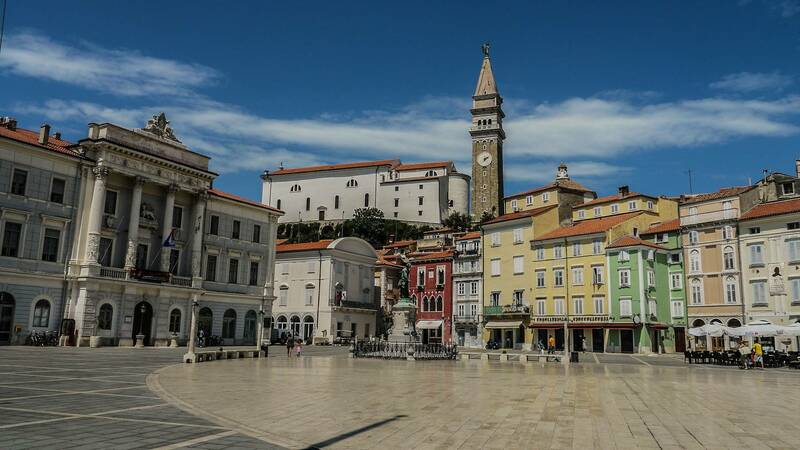 But before getting there, we make another overnight stop in the city of Umag.Umag is a small town and port on the north-western coast of Istria. 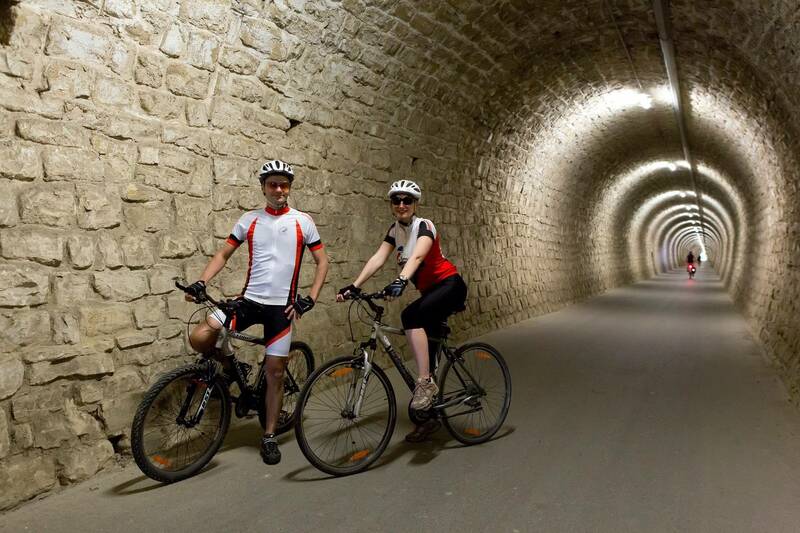 A place Croatians say presents ‘Croatia’s gateway to Europe’. It also has a reputation of being the Istrian sports centre, since it’s been the host of the ATP tournament for many years now, it attracts numerous top world tennis players.Overnight and dinner in Umag. It's time to say goodbye Croatia, today we will follow the coastline, before entering Slovenia once again. We approach Portorož and Piran taking an alternate route to the one we took when leaving those two cities 4 days ago. The van will be waiting for us to take us back to the tour starting point in Trieste. 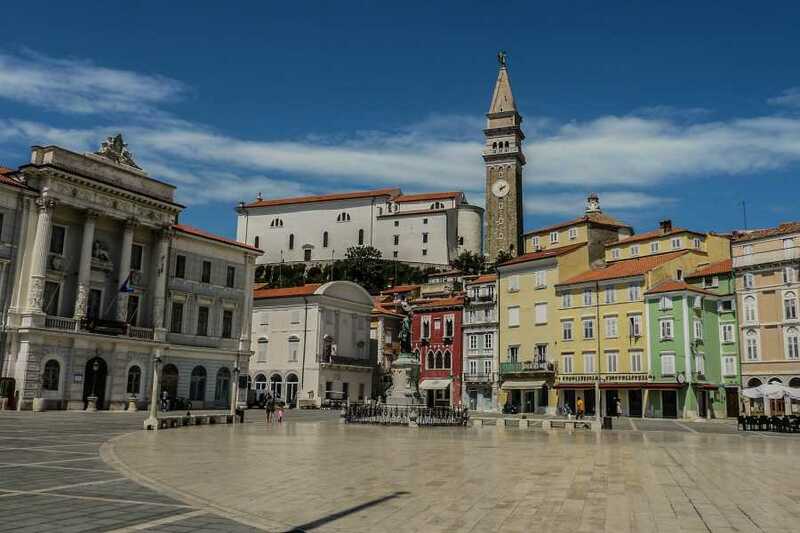 You might even wish to prolong your stay in Slovenia for a few days to recover and further enjoy the Mediterranean. We can organize bike rental. The price for a bike is from 25 EUR/day.